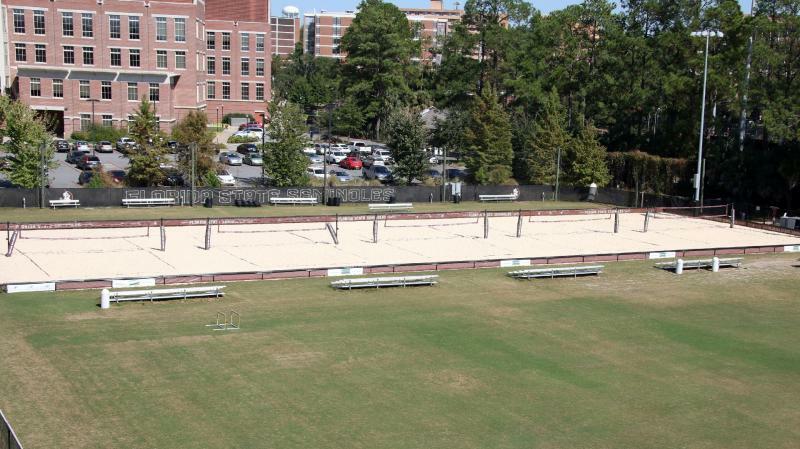 Completed in 2011, Florida State’s five beach volleyball courts were one of the first facilities to be built specifically for collegiate beach volleyball. 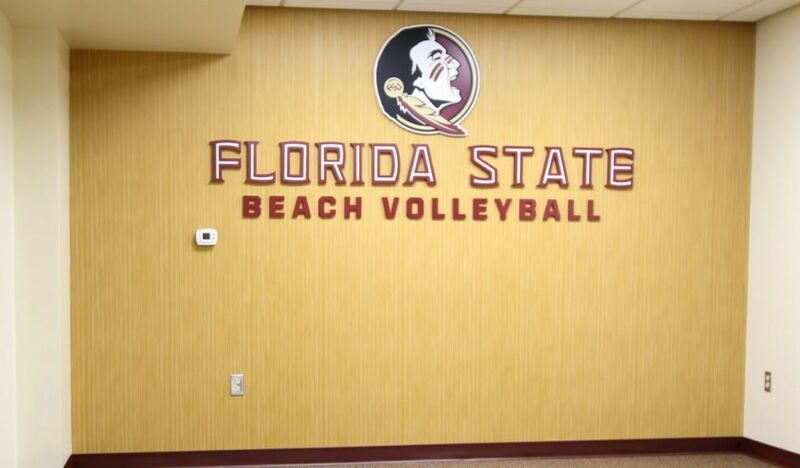 Located north of the Seminole Soccer Complex and JoAnne Graf Field between Mike Long Track and the Spirit Way Parking Garage, the facility is wrapped in Florida State University graphics and logos highlighting the enormous success of the FSU Beach Volleyball team during the sport’s first four years. The Seminole Beach Volleyball Courts remain one of the premier facilities in the nation. There are three entrances where patrons can enter the facility with seating for approximately 150 people on the bleachers at sand level. The multi-level parking garage adjacent to the courts can also be used for spectator viewing. Spectators are encouraged to bring their own lawn chairs to the event as well. The courts are also equipped with permanent lighting to allow matches to be played at night. 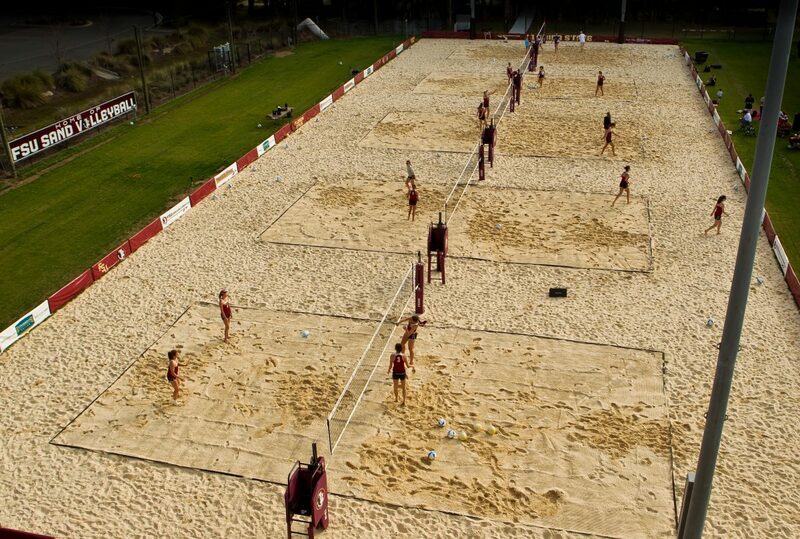 The Seminole Beach Volleyball Courts were built using two types of sand. The lower level of sand is more powdery to allow precipitation to filter through to the drainage system. The upper level of sand is more dense allowing student-athletes a competitive playing surface each time out.